A far cry from the photographic safari-enthusiasts that visit Chobe National Park now, the park was once the haunt of large-scale ivory hunters. It’s hard to imagine that by the second half of the 19th century ivory hunting was so rife that elephants were almost extinct in the Chobe area. 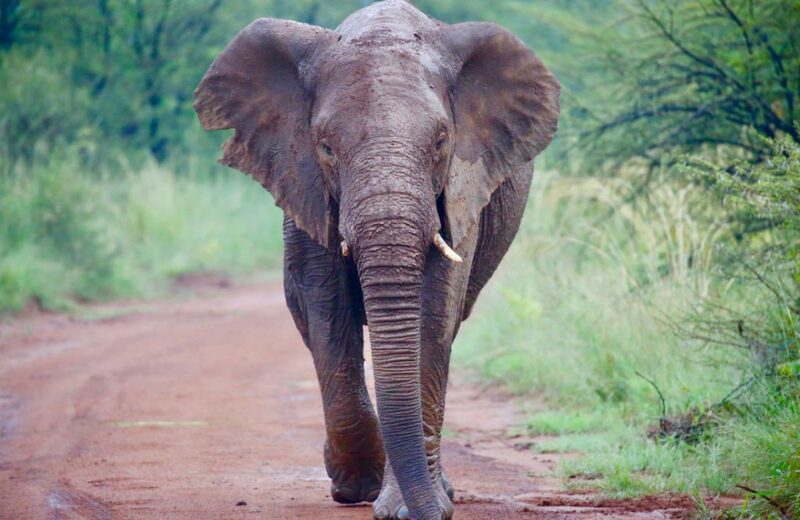 Today, “thlou” (the local Setswana term for elephant) are safe in Chobe National Park and during dry season make up the largest density of elephant in the world (60 000 – 70 000) a number that has continued to rise in recent years due to poaching pressure in Botswana’s neighboring counties. In essence, Botswana has become a safehouse for an increasing number of Southern Africa’s refugee elephants who no longer feel protected traversing through the borders of Namibia, Zimbabwe, Angola and Zambia. Despite this, research by Elephants without Borders has shown that the elephants of northern Botswana still have the largest home ranges (24,828km2) recorded for African elephants and herds continue to move between western Zimbabwe, the Caprivi Strip in Namibia, southeast Angola and southwest Zambia. However, Botswana’s elephant range has grown by 53% in the past 20 years and scientists worry about how this will affect the safety and livelihoods of local people living on the outskirts of wildlife areas. Initiatives like the Elephant and Bee Project that are building beehive fences to naturally repel elephants from raiding local farmer’s crops, are invaluable in protecting both humans and elephants. As the largest terrestrial animal on earth, elephants eat up to 300kg of food a day and play a fundamental role in shaping their environment. The large herds of Chobe have put enormous pressure on the riverine forests lining the banks of the river, and it is common to see fallen tree trunks and battered broken branches tossed about the ground. This would be devastating if it weren’t for the arrival of the summer rains when the elephants disperse, allowing the land much-needed time to recover. Elephant’s destructive habits have equally positive effects and are responsible for creating hideaways for smaller creatures and helping browsers, like kudu and bushbuck, to reach nutritious leaves. Predators like lions and leopards often choose to hide their cubs in the safety of fallen logs, and elephant’s well-worn paths through the bush are used by many species. During drought, elephant’s dig for water in dry pans, helping to form waterholes that other animals can drink from. While Chobe’s waterfront is the place to see large family herds, Savute is known as the domain of the large elephant bull. These lonely tusked giants float over the horizon or swagger around the dusty peripheries of small waterholes, drinking and moving off again. Chobe really is a “Land of Giants”, an ultimate destination for elephant-lovers.